3. The Paradox of Choice by Barry Schwartz. Not a Christian author and not a Christian book. But every Christian needs to come to grips with the type of individualism and materialism that is KILLING their souls. This book facilitates that! 4. The Radical Reformission by Mark Driscoll. I think this book has shaped more of my former students than any other book. That's a good thing. Even though Driscoll continues to churn out books every month, I still think this is some of his best work. 5. The Emerging Church by Dan Kimball. It's hard to believe a book written in 2003 can be dated already, but this one is. "Emerging" and "Emergent" have come to mean drastically different things than they did when Dan wrote this. But it's still a great book to help anyone understand the cultural shifts (not trends) and how they impact the chuch. 6. Renewing Your Mind in a Mindless World by James Boice. Fantastic book based on Romans. Life-Changing if you let it. 7. The Three Big Questions for a Frantic Family by Patrick Lencioni. 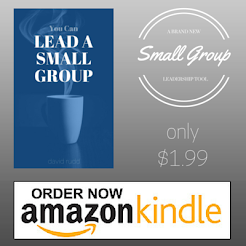 This is the only "leadership" type book you'll find on here because it's actually practical. In the West, we need to learn the value of slowing down and doing things on purpose, not just to do them. This book helps. 8. The Search to Belong by Joe Myers. This book will help you think about "biblical community" in a whole new way. 9. Nine Marks of a Healthy Church by Mark Dever. Sounds like a pastor's book, and it is. But non-pastors should read it to. Even if you don't completely agree with all nine marks (I don't), Dever's biblical application regarding the church will enrich you. 10. Mere Christianity by C.S. Lewis. Classic. 11. Christ's Call to Discipleship. Yup, this is the third Boice book on the list. He's just that good. 12. The Stranger on the Road to Emmaus by John Cross. This is a great book for anyone who is trying to wrap their head around the big story of the Bible. Easily readable for ANYONE. 13. Outflow by Steve Sjogren. This is such a good book that I hate for it to be last on the list... So think of it as 13th of ALL books! It is a book of story telling and simplicity that will rattle your cage about living missionally!